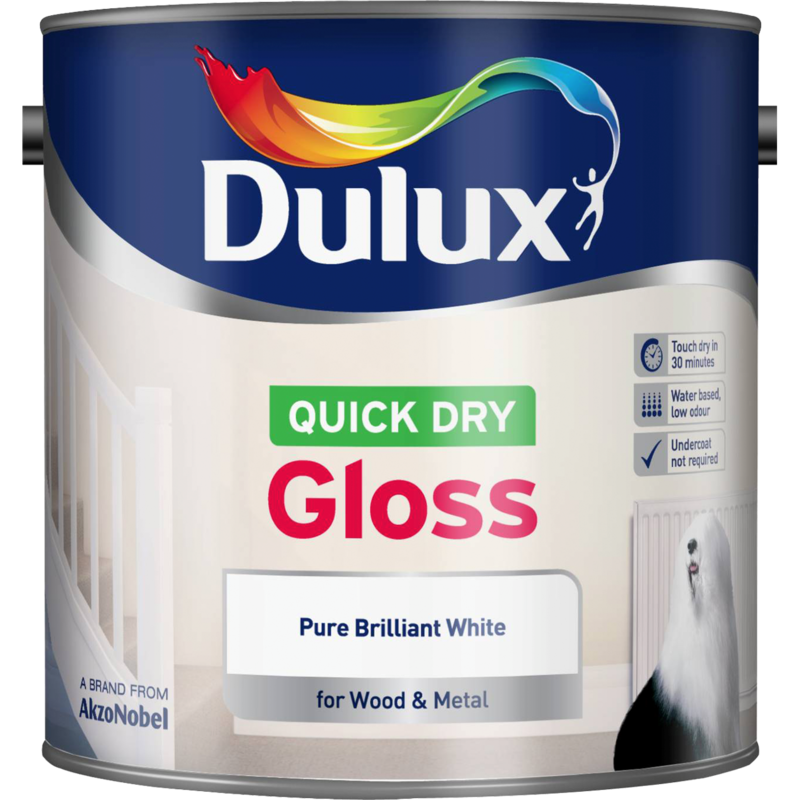 Dulux Quick Dry Gloss is a beautiful gloss paint. It is self-undercoating, wipeable, non-yellowing and suitable for use on interior and exterior wood and metal. Thanks to its Quick Dry, low odour formulation, it's both convenient and pleasant to use.